On November 10, over 300 students walked into the doors of First Baptist Church-Broad, committing themselves to the continuation of Dr. Martin Luther King Jr’s legacy, whose life was lost here in Memphis over 49 years before. This event was one of the first in a series created to commemorate the life of Dr. King and mark the 50th anniversary of his assassination, which will occur on April 4 of 2018. 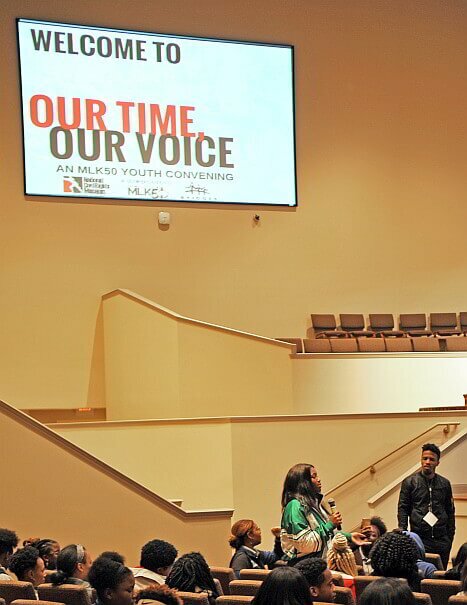 The “Our Time, Our Voice: An MLK50 Youth Convening” was co-sponsored by the National Civil Rights Museum and Bridge Builders. At the 7.5 hour event, students had the opportunity to hear from Xiuhtezcatl Martinez – a 17-year-old climate activist, published author, and lead plaintiff in the youth-led environmental class action suit against the federal government – and DJ Cavem Moetavation – an environmental hip-hop artist and activist focused on food justice. These two featured speakers were joined by members of the Memphis community – including National Civil Rights Museum educators Ms. Dory Lerner and Mr. Ryan Jones, Bridge Builders Leadership Board Member Destiny Sobotka, and Action News 5 Anchor Kontji Anthony – to create a series of workshops centered around various social justice topics, including micro-aggressions, healthcare, immigration, anti-bullying, income gap, youth political activity, and more. It is this focus on educating participants that White Station High School Junior Emille Taylor loved. “At MLK50, I learned that just because you don’t view something as your own personal problem doesn’t mean that it’s not a problem at all. One of the keynote speakers was Xiuhtezcatl Martinez, an environmental activist. In his speech & workshop, he taught me a lot about environmental problems, an issue that I personally didn’t feel connected with,” Taylor said. “After listening to him, I realized that one minor issue can have a major outcome for such a large group of people. 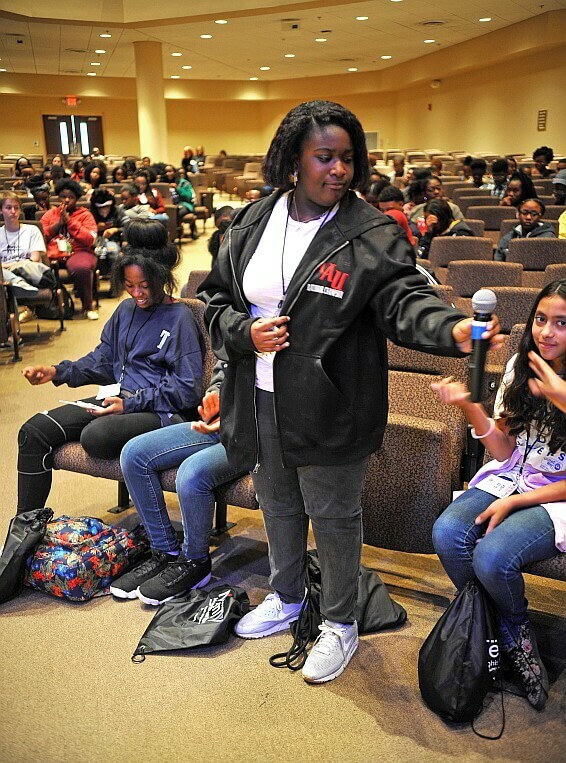 So, it’s important to stay aware regardless of if you think something is ‘important’ or not.” What Taylor learned at the MLK50 Youth Convening is also echoed in the work she and 7,000 seventh-through-12th-grade students learn while participating with the BRIDGES program. BRIDGES works with students from over 140 different schools in Shelby County, Northern Mississippi and Eastern Arkansas to provide a diverse group of students with experiential learning opportunities and to teach them how to collaborate with their peers. Students can be involved in three BRIDGES programs: Connect, Collaborate, and Change. In Connect, students – regardless if they are current Bridge Builders – are able to participate in events and workshops held by program. Students in the Collaborate program, on the other hand, participate in a week-long summer conference followed by attendance at six events throughout the school year, helping to build students’ confidence and equip them to work in teams. By far the most intensive program, students in BRIDGES Change complete a paid fellowship committing six to nine hours each week to their work in various cohorts, including Educational Justice, Memphis Against Sexual Harassment and Assault, and more. 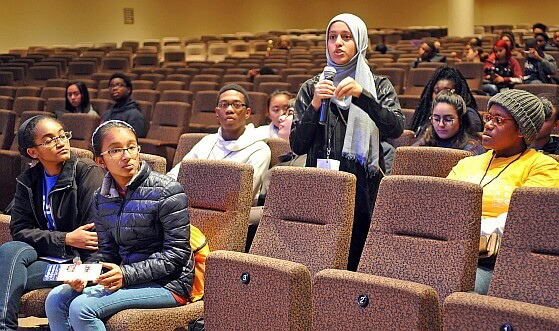 With the conclusion of “Our Time, Our Voice: An MLK50 Youth Convening,” the application officially opened for the 2018-2019 Collaborate program, granting students the opportunity to become a member of the organization and execute positive change in our community. “I can say without a doubt that I’ve never regretted doing Bridge Builders. I feel like everyone at [St. George’s] and beyond can get a lot of meaning out of it,” St. George’s Senior and six-year BRIDGES member Bennett Matson said. “Really, why not do it?